For a while there, it looked like the ANC was going to split and the Opposition might coalesce into a Coalition of the Wounded to replace the ruling party in 2019. Especially if the SACP does decide to contest the elections in its own right. Blade Nzimande’s return to the Cabinet does not mean that the SACP won’t do so, because the SACP is also split internally. But the EFF’s bizarre duplicity of deciding to topple Trollip as Mayor of Nelson Mandela Bay is the deepest split of them all. Its rationale – that he is white – is particularly troubling. Because it seems that the differences are not about style or conduct, but about identity. It is hard to keep coalitions together when they don’t find common ground at the deepest levels. Maimane has confronted the EFF and rightly so. 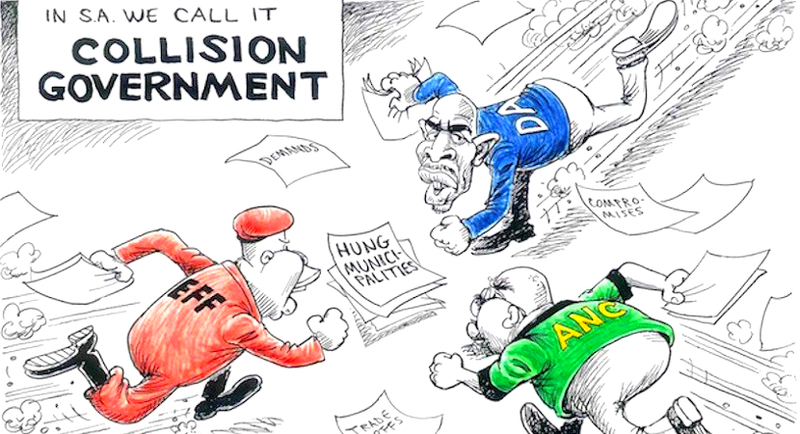 Its rationale is not just anti-Coalition but it is anti-South African. In a democracy that cherishes “non-racialism” this is very disturbing. A disagreement of policy would be one thing, or even a dislike of his leadership style. But the colour of his skin? How can another party leaders actually say that? 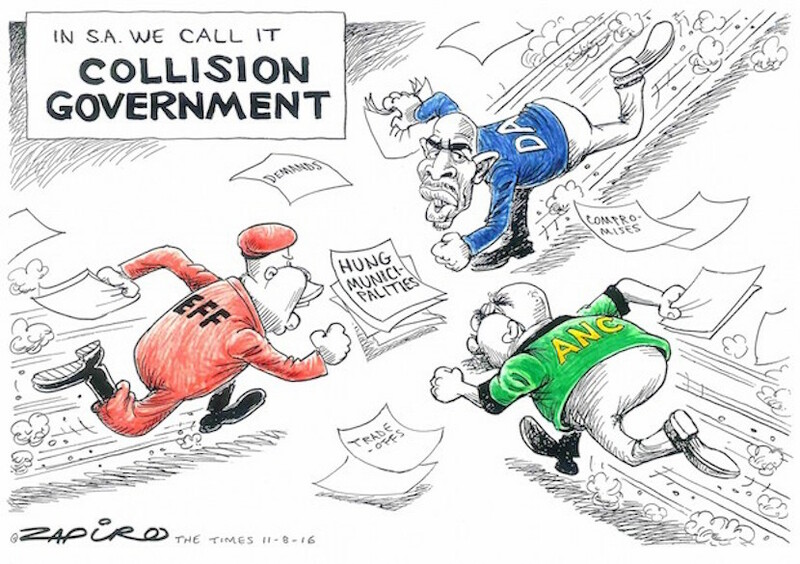 Collision government. More of Zapiro’s magic available at www.zapiro.com. To avoid the configuration often used to describe party politics in other countries (i.e right wing, centrist, left wing) let us just refer to Blue, Yellow and Red. Let’s leave it at that. Did you ever wonder why the political parties don’t do what the airlines do, to get the maximum air-miles for customers? If you fly to London on British Airways and then to Toronto on Air Canada, you travel the whole way under the “Star Alliance”. So your air-miles rack up faster and deliver more benefits to you the traveler, faster. In the run-up to the 2019 elections, why don’t we see a Blue Alliance emerging as well as a Red Alliance? Each party can still keep its own identity under these umbrellas. But voters need to see how parties line up. For example, COPE seems to be against land expropriation without compensation. So is it not really part of the Blue Alliance? Because the DA is dead-set against it. This might help to get us past the black/white divide, if we thing Blue/Red? And more so if we think of three full colour options – Blue, Red and Yellow – it is harder for us to backslide into the era of black-and-white. If the SACP joins the Red Alliance you will have them aligning with the EFF and BFLF on the other front. 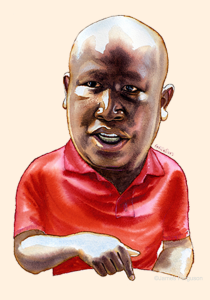 One analyst recently described the EFF as the real “vanguard” of the ANC, which is now too cumbersome to innovate policy. The ANC always prided itself in being a “broad church” but this can become almost unmanageable at times. It wobbles all over the place, like it has on the Decriminalization of Prostitution. Last year in June at its Consultative Conference, that was rejected. Then suddenly and unexpectedly, that decision was reversed at its Elective Conference six months later. Even though the technical experts at the SALRC had reviewed it and recommended against change. Another example happened at the last congress of the ANC’s Women’s League. There was a move afoot to ban “ukuthwala”, a cherished African custom which some argue is a violation of women’s rights. But at the end of the day, it did not even come to a motion on the floor. Because it became so obvious that it would never pass. The yellow alliance is not only unwieldy, but paralysed by the fear of splitting up. This raises a question about the Traditional Chiefs. In most countries, these would be seen as Conservatives – because that is what they are doing – conserving cherished traditions. So why have so many chiefs tended to be yellow, and not blue? Some might think of the Inkatha Freedom Party as a member of the Blue Alliance? The land issue could well push the chiefs into the Blue Alliance. It is interesting how diverse parties use the same term “freedom”. 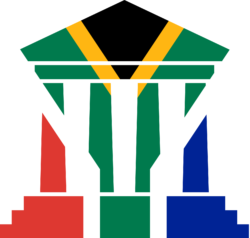 The Freedom Front would line up more with the Blue Alliance. Whereas others like Economic Freedom Fighters are die-hard Reds. Everyone wants to be “free” – but there are widely divergent definitions of what that means. The Blue Alliance will feature those parties that put non-racialism first – as a non-negotiable priority. They will also champion private property. But neither of these will work without the Rule of Law, so they will beat the drum of Clean Government – transparency. 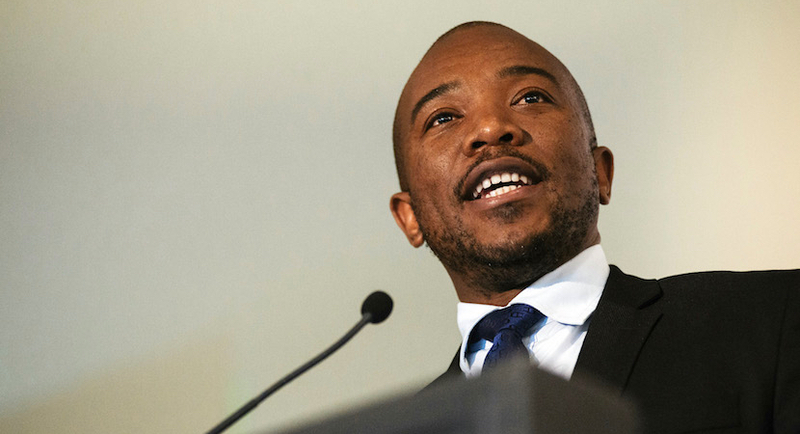 Luckily for the Blue Alliance, they not only have a track-record in one province – the Western Cape, but they also have been running three other big metros. This means that they have experience in governance. Their party platforms will be variations on these themes. The Red Alliance will isolate itself in the colour of the majority. That is its comfort zone, and it will say that the State owns all land. Title deeds are only a fiction that will not function if the majority doesn’t buy into it. That fiction is going the way of another one – paper money. They will shake the Rule of Law to its foundations (for example by occupying land “illegally”) and even try to change the Constitution. The yellow party platform will be a “mix and match” fashion statement. They will promise the Rule of Law so as not to lose the confidence of investors and those precious credit ratings. But to keep the majority on their side, they will have to get more vocal about RET and BEE. They will pretend that the Blue Alliance is not a real threat, saying that it is just the “chattering class”. Those intellectuals only make up one tenth of the population, so they will try to sound as Red as possible, while alienating as few Blues as possible. The truth is that the yellows are in a vice. The Reds and Blues together are a pincer action, like scissors, which will cut away a lot of their historical votes. How many will fall each way (i.e. to the Blues or to the Reds) remains to be seen, but at this stage it is a three-way race. The EFF says that it can work with the ANC, but as soon as the ANC starts making friendly gestures, the EFF denies that reunification is possible. You can’t admit to loving your mistress when your wife is listening. But you can take steps to put some distance between you and your wife, like the EFF is doing in its betrayal of Mayor Trollip. The biggest concern that voters will have is that the Reds have no experience in governance. Instead of engaging in the Coalitions, they let the DA govern the municipalities since 2016 and held back. Instead of using their “casting votes” as tools for gaining experience in governance, they held them like a sword of Damocles over the Blues. That sword may fall on Mayor Trollip, but it is for all the wrong reasons. This will be double-jeopardy for the Reds – they will look like inexperienced rookies and also insincere about all they said about cleaning up waste, corruption and patronage. This miscalculation won’t help the yellows at all, it will only help the blues. That is – assuming that voters really do want a change – the signal we got from the municipal elections. And as for the promise of land, that could be overstated? Research shows that only a tiny fraction of new voters regard land as a high priority for improving their future. They mainly want JOBS – in factories or malls – in town – where their children will be closer to the services they need. On top of which, government is still sitting with 4300 farms that have not yet been distributed. This reflects the fact that Land Reform (a much wider term than “land expropriation without compensation”) needs to be speeded up. To the extent that one wonders if slowing it down to 1994 spending levels in 2017 was not a strategy? But above all – will the promise of land really translate into more votes for the Reds?